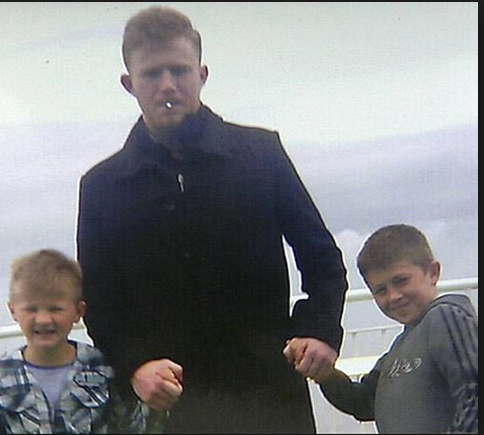 This week an inquest was held into the deaths of Jonathan O’Driscoll and his twin brothers from Charleville, Co Cork. Jonathan fatally stabbed his beloved little brothers before killing himself last year (September 2014). It was just one of a number of shocking Irish murder-suicides in recent years. Jonathan was looking for help. He had many visits with doctors, mental-health teams and at least one consultation with a psychiatrist. Instead, as is now common practice, the ‘help’ Jonathan received was drugs, drugs and more drugs. His final visit with a psychiatrist (Dr Bobby Burns), a few weeks before this tragedy ensued, led to a prescription for a new (as yet unnamed) drug. The dose was due to be increased over several months. The psychiatrist testified that he was deeply concerned that Jonathan might be exhibiting the early signs of schizophrenia but following this prescription ‘Jonathan’s mental health improved’. Inexplicably, the latter would seem to contradict the subsequent actions that led to the deaths of Jonathan, Thomas and Paddy. It was reported in the Irish Independent that Jonathan’s mother was unaware of the amount of drugs that he was prescribed. She was “totally shocked” by the number of medications he was on, further stating “I found a lot of tablets after Jonathan had passed away, God speed him. He seemed to be on a lot of tablets”. Despite the suicide and violence warnings attached to these powerful drugs, it should be noted that these deaths are not being associated with the prescribed drugs, but rather to Jonathan stopping the drugs (aka victim blaming). Toxicology tests indicated that he may not have been taking his medication in the days prior to the stabbing. Coroner Dr Michael Kennedy was told Jonathan most likely stopped taking anti-psychotic medication over 48 hours before the tragedy. Yet far from his mental health improving as suggested by Dr Burns, Jonathan had purchased a knife and other materials at least two weeks before the killings. So which was it – was Jonathan improved or worsened by this ‘new’ wonder drug? It seems interesting that this new drug wasn’t named – wouldn’t be good for business, that’s for sure. Although toxicology results can be hugely unreliable – if it is in fact the case that Jonathan stopped taking the drugs, he would have been in horrific withdrawal – very similar to a street-drug addict. This doesn’t seem to be the case here, as there was a certain degree of pre-planning. I am also personally aware of a number of toxicology results which failed to show SSRI antidepressant use, at least not until the families insisted on a re-test. Either way, the multiple prescribed medications, psychiatrys’ quick fix, the pill for every ill, the new wonder drug, did not work. This young man did not get help – what he did get was a cocktail of mind-altering drugs. November 2012 – Minor road accident. Jonathan began to frequently visit his GP complaining of aches and pains. No mention of what was prescribed. Pre-April 2013 – Dr Thomas Molloy prescribed Jonathan anti-depressants. April 2013 – Jonathan shows first sign of aggression and was referred for a psychiatric assessment. February 2014 – A locum GP was so concerned about Jonathan’s mental health that he referred him for an urgent psychiatric assessment. April 2014 – Jonathan was prescribed anti-psychotic drugs. July 2014 – Consultant psychiatrist Dr Bobby Burns prescribed a new drug, with the dose due to increase incrementally over several months, and Jonathan’s mental health (supposedly) improved over the coming months. August 2014 – Jonathan purchased a knife and other materials to be used in the killings. September 4th, 2014 – Jonathan and his little brothers were found dead. Truthman’s Article ‘What meds did they prescribe Jonathon O’Driscoll‘. My RxISK Article ‘An Irish Epidemic: Suicide and Homicide on Antidepressants‘. A survivor with a similar story ‘The Man Who Thought he was a Monster‘.